Matthew Gardiner's project Oribotics [the future unfolds] is inspired by the aesthetic, biomechanic, and morphological connections between nature, origami and robotics. 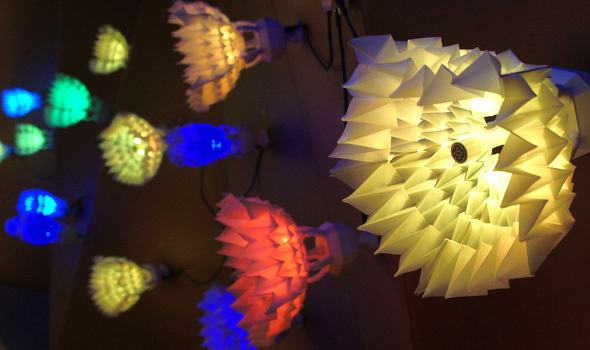 He fold-programms materials like paper and synthetic fabrics to generat contemporary origami objects. The design of the crease patterns, and how they fold and unfold, directly informs the mechanical design of his creations. Each oribot is equipped with a proximity sensor that registers any object in its immediate surroundings. If an installation visitor’s hand approaches, the oribot opens its flower-like structure: an operation in which 1,050 folds are in motion. All macro-interactions are networked and software-controlled. 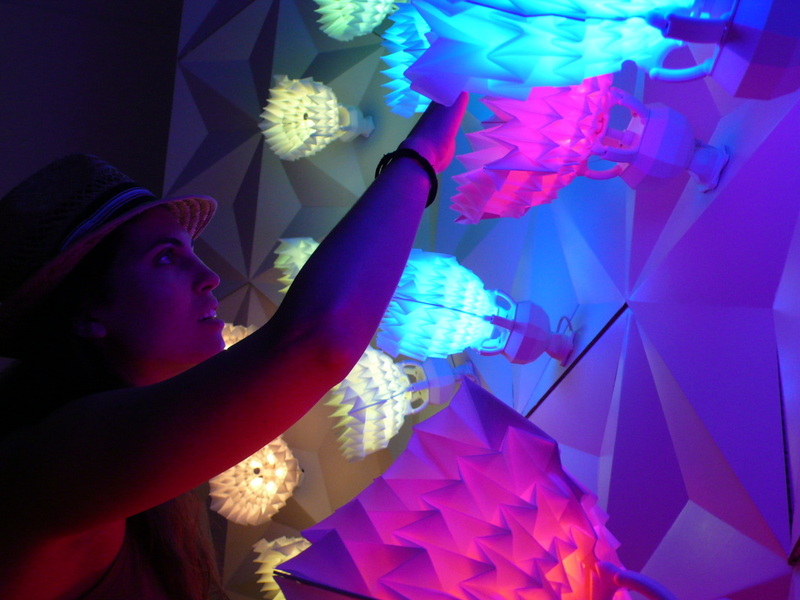 Each micro-interaction is forwarded to every oribot in the installation, triggering more than 50,000 folds. Initially invited to be an Artist-in-Resident, Matthew became a senior researcher in the FutureLab Research & Innovation Group, led by Christopher Lindingerat. Oribotics was exhibited at Tokyo Designers Week 2011 in the bustling multipurpose Tokyo Midtown Centre in Roppongi, and it was showcased during the 2010 Ars Electronica festival.The Australian Artist-in-Residence program at the FutureLab was initiated and produced by Ivanova/Novamedia in partnership with the Australia Council for the Arts and Ars Electronica.